That film depicts the touching relationship between a conservative Chinese man and his Caucasian son-in-law. 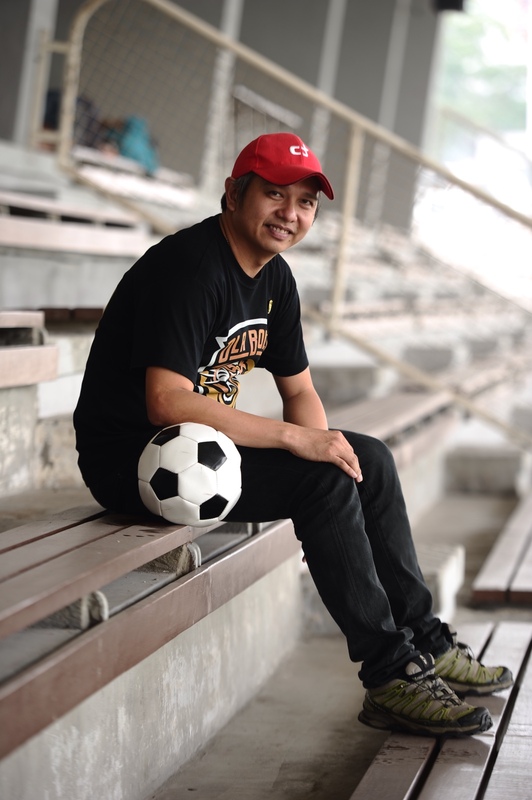 But for his latest film, OlaBola, which he has just completed shooting, Chiu has gone a different direction by lensing a story about football. And he is fully aware of the pressure to produce another hit with his take on this sport. “Honestly speaking, I feel some pressure trying to live up to this expectation,” says the 43-year-old filmmaker, but he managed to calm his nerves by focusing on what drove him to be a filmmaker in the first place. Set in the 1970s, the film is about a Malaysian football team which overcomes the hardships and hurdles to qualify for the Olympics. The story is loosely based on real events. Malaysia national football team did qualify for the Olympics – the first time, by beating Japan, South Korea, Taiwan and the Philippines, for a spot in the 1972 Munich Games, where it defeated the United States but lost to West Germany and Morocco. The team again qualified for the Olympics in Moscow in 1980, but never got to compete as Malaysia joined 64 other countries which boycotted the Games because of the Soviet invasion of Afghanistan. 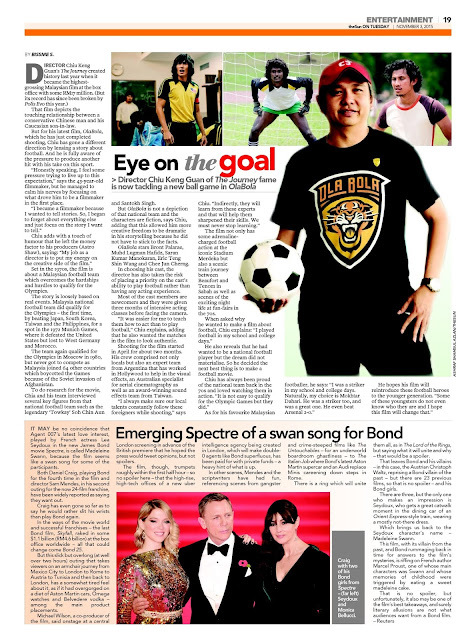 To do research for the movie, Chia and his team interviewed several key figures from that national football team such as the legendary ‘Towkay’ Soh Chin Aun and Santokh Singh. But OlaBola is not a depiction of that national team and the characters are fiction, says Chiu, adding that this allowed him more creative freedom to be dramatic in his storytelling because he did not have to stick to the facts. OlaBola stars Bront Palarae, Muhd Lugman Hafidz, Saran Kumar Manokaran, Eric Teng Shin Wang and Chee Jun Cherng. In choosing his cast, the director has also taken the risk of placing a priority on the cast’s ability to play football rather than having any acting experience. Most of the cast members are newcomers and they were given three months of intensive acting classes before facing the camera. It was easier for me to teach them how to act than to play football,” Chiu explains, adding that he also wanted the matches in the film to look authentic. Shooting for the film started in April for about two months. His crew comprised not only locals but also an expert team from Argentina that has worked in Hollywood to help in the visual effects, an Australian specialist for aerial cinematography as well as an award-winning sound effects team from Taiwan. “I always make sure our local talents constantly follow these foreigners while shooting,” says Chiu. The film not only has some adrenaline charged football action at the iconic Stadium Merdeka but also a scenic train journey between Beaufort and Tenom in Sabah as well as scenes of the exciting night life at fun-fairs in the 70s. He also reveals that he had wanted to be a national football player but the dream did not materialise. So he decided the next best thing is to make a football movie. Chiu has always been proud of the national team back in the 70s and loved watching them in action. The director is ready to kick some balls.